This is Post 3 discussing my project greenlight process. To add a little context, I’ve been working on locking down a perfect project for IGF 2016 submission. These posts will discuss a project and why I’ve red-lighted it. At the end, I’ll make a post about why I’ve greenlit Ventura. PA4X is an interesting case about the deception of game development scope. As a quick summary, you can read my PA4X announcement for more details about the game. In essence it’s a 4X game (a la Civilization) with a heavy multiplayer focus; short turn times with a single moving city, simulating your peoples’ struggle in a broken world. It was surprisingly easy to build many of the systems. I had Biomes working, a 4X grid, a pre-built pathfinding solution, turns, building stuff, resource generation… plenty of systems. Civilization V as a system is easy to build. So what went wrong? This is the one and only reason why PA4X is getting a red light. Despite knowing that a 4X game is fun (I’m currently playing another epic game of Civilization V), it’s going to take a long long time to get it into a state where it’s actually fun. When you think about it, Civilization isn’t really that fun of a first play experience. It’s slow, nothing really happens (bar finding a goody hut), you haven’t got many choices. The reason Civilization V works is because it is a massively complex system of moving parts that you will get into eventually. Civ V is built on the promise of emergent gameplay based on its humongous content generating machine. Therefore my theory is that PA4X would not be fun until I have a humongous content generating machine… and that will take a long time and a lot of risk. The number one lesson I’ve learnt from my 2 year-long indie game development project is that finding the fun early is super important. Too many times, I’ve fallen down the rabbit hole in the search for a fun game… wasting months of time and effort to eventually find nothing. Not this time. So that’s why PA4X is getting the red light. Nevertheless, a 4X design is almost entirely Game Design/System Design focussed. 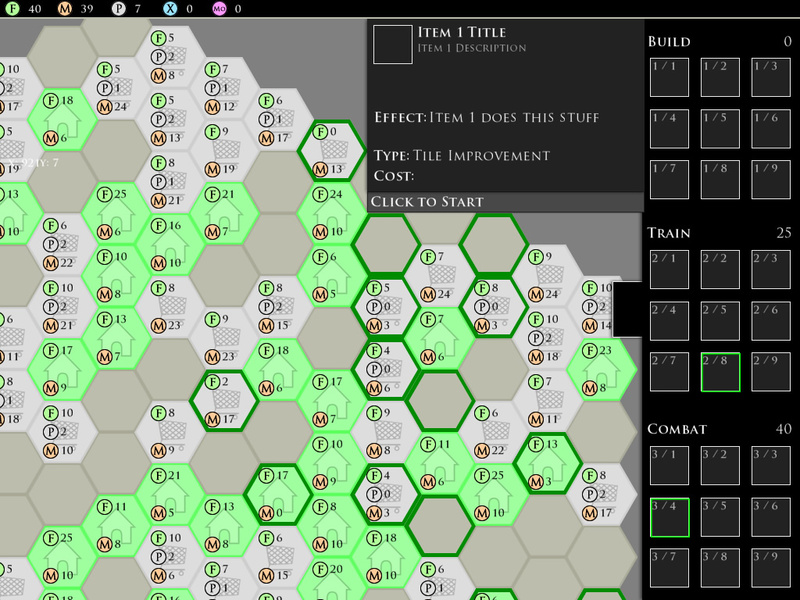 This prototype proved that building the mechanics is actually not hard at all. All the challenge is in Game Design. I do like that. I like it a lot. I’m sure that one day I will come back to this prototype, as it’s perfect for my skill set. Next > The Ember Conflict is live!